Somewhere, there was a young man. A kind hearted young man who loved animals but, the most unfortunate things happen to him. The place where he works going bankrupt, bumping into a signboard as he walks in the streets. He is just completely burdened with bad luck. However, his life completely changes when he meets a fortune teller. With the power of the fortune teller, "Guardian Angels" are called through a mobile phone and a group of cute girls appear. These Guardian Angels, who came from the other world, were actually reincarnations of the pets that the young man had once taken care of before. They are now back to repay his kindness. This sequel takes place a year after the last series. We go back to the time when the 12 Guardian Angels goes to Goro Mutsume. Once again, we have the voice talents of Nogawa Sakura, Chiba Saeko, Kawasumi Ayako and a whole extravanganza of other voice actors / actresses. Lets see how the Guardian Angels grow up! 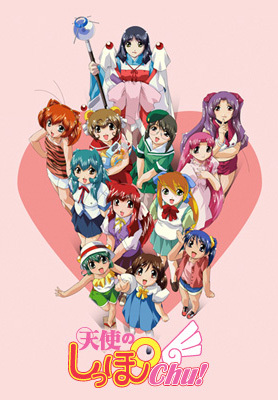 Watch Angel Tales 2 Episodes Online at Animegg.org. Angel Tales 2 is available in High Definition only through Animegg.org. Choose an episode below and start watching Angel Tales 2 in Subbed & Dubbed HD now.